A stout payload, impressive range, and a slew of rugged extras could make the five-passenger Rivian R1T the gold standard for a new age of electric adventure vehicles. 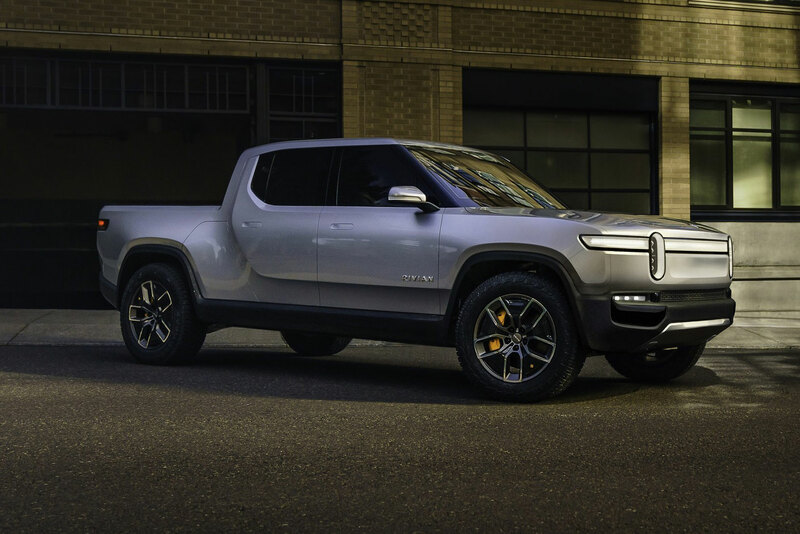 While Elon Musk’s tweets have roused anticipation for Tesla’s yet-unnamed electric truck, Michigan-based Rivian has surged into the spotlight, debuting its own clean-energy pickup. And, at least on paper, it looks awesome. Unveiled today, the R1T has all the sleek designs of an electric vehicle. And according to its specs, this all-electric pickup also offers the muscle and utility truck owners demand. Hitting dealer lots in 2020, the R1T will boast room for five passengers, more than 400 miles of range, water fording ability up to a meter deep, and more. If the name Rivian doesn’t ring a bell, don’t be surprised — the company is less than 10 years old and has already balked on previous plans to launch high-mileage gas vehicles. But the brand brings serious capital to the table. To date, it has raised about $500 million through several funding rounds. With the R1T — and the yet-to-be-unveiled R1S electric SUV — Rivian has made an impressive and tangible step in fulfilling its promise to both consumers and investors to create capable low-impact vehicles. Underpinning all of Scaringe’s claims is the R1T’s “skateboard platform.” Basically, design engineers packed the battery, suspension, thermal, braking, and drive systems under the vehicle. This freed up more room for passengers and gear. 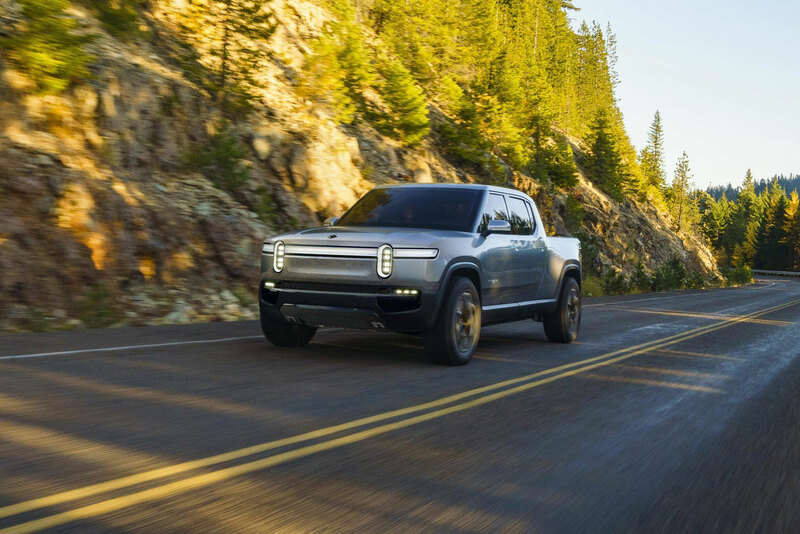 This design also, according to Rivian, lowers the center of gravity and helps make the truck more agile. Powering the R1T is a quad-motor, all-wheel-drive system. This power plant can throttle the truck 0-60 mph in three seconds and reach 100 mph in seven seconds. But trucks aren’t about speed, they’re about utility. So the quad-motor delivers 147 kW of power with “precise torque control” to each wheel. If it works as advertised, this means the R1T will adapt seamlessly to cornering at high speed or rock crawling at low speed. That electric power also provides an 11,000-pound tow rating and a payload just shy of 1,800 pounds. Powering all this output is the R1T’s battery system. Rivian will produce three battery “trims” — a 180kW big boy, 135kW medium-duty, and a 105kW base offering later on. With the 180kW battery option, the R1T can run 400 miles or more on a charge, while the 135kW will offer around 250 miles of range. As for charging, Rivian said it designed the R1T for fast charging, around 200 miles’ worth in 30 minutes. For those getting rowdy off road, the R1T will accommodate. It has more than 14 inches of ground clearance and “aggressive approach and departure angles” of 34 and 30 degrees, respectively. What’s more, drivers can adjust the suspension for highway driving (low) or off-road pursuits (high). As for looks, the R1T sports dual “stadium” headlights that, along with daytime running lights running the length of the grille, give a distinctive visage. The frunk offers 330 L of cargo space — a handy addition to the R1T’s 4.5-foot short bed. But it gets wilder: The R1T also has a lockable “gear tunnel” that runs the width of the truck underneath the cab. 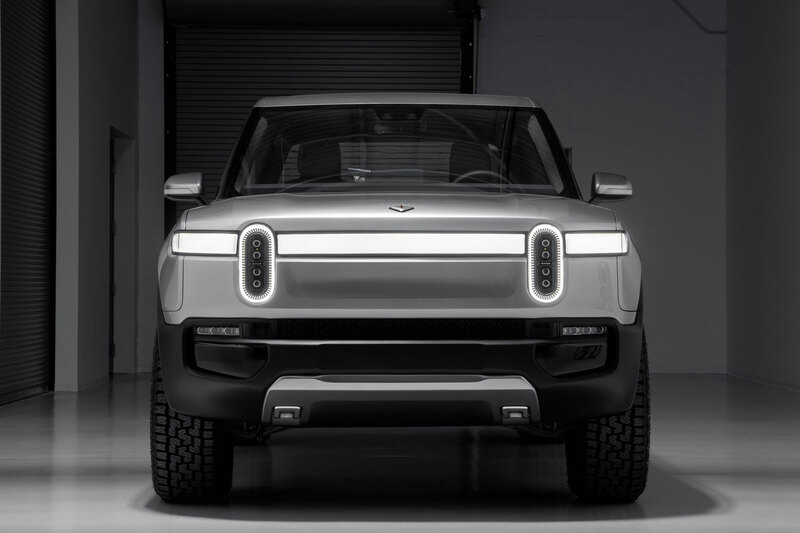 This provides another 350 L of storage that Rivian believes will be perfect snowboards, surfboards, and other long pieces of gear. Plus, the tunnel will double as a step for reaching the roof or seat to lace up your boots. See the video below for a peek at how this works. And that’s just the beginning of the R1T’s gear story. It has an integrated tonneau cover and a hidden watertight 200L compartment beneath the bed — big enough for a full-size spare. The bed also has three 110V outlets and a built-in air compressor (inflatable SUP, anyone?). And for those whose gear closet has a little bit of everything, the R1T sports its own telescoping racks that can attach to the roof, bed rails, or bed floor. The brand claims these racks and mounts will integrate with “a range of accessories,” from rooftop tents to bike and ski racks. 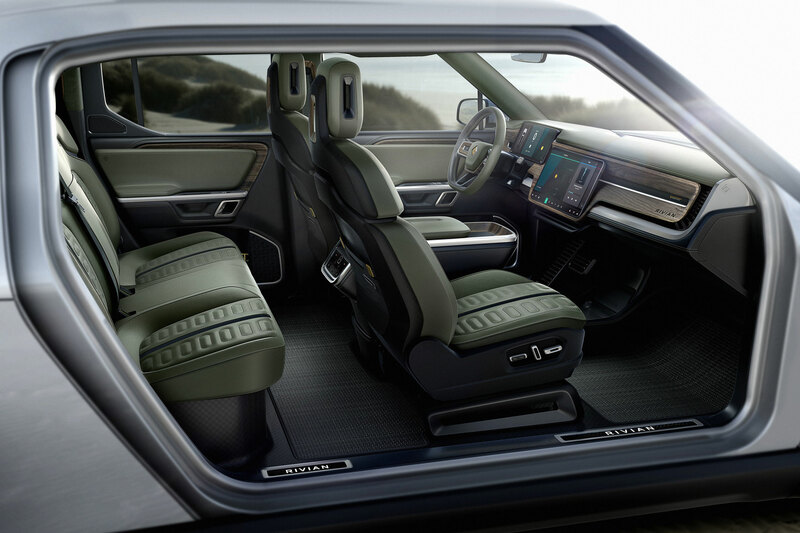 And to help protect all that valuable gear, Rivian endowed the R1T with some extra security features. A dedicated camera monitors the bed and will alert the owner if anything is tampered with. There are also two integrated locking cables to secure bike frames or other gear to the bed. As you might expect, the R1T will be a “smart car,” meaning it will connect to cloud services, receive updates, and feature self-driving capability (hands-off, eyes open). Rivian will give the public its first in-person look at the R1T later this month at the Los Angeles Auto Show. Following on its heels will be the brand’s all-electric SUV, the R1S. Not surprisingly, all these goodies come at a price — $61,500 to be exact. Preorders are open now (with a refundable $1,000 deposit), and deliveries of the first R1Ts will begin in late 2020. Though expensive, the R1T certainly makes a bold case for the future of electric adventure vehicles.